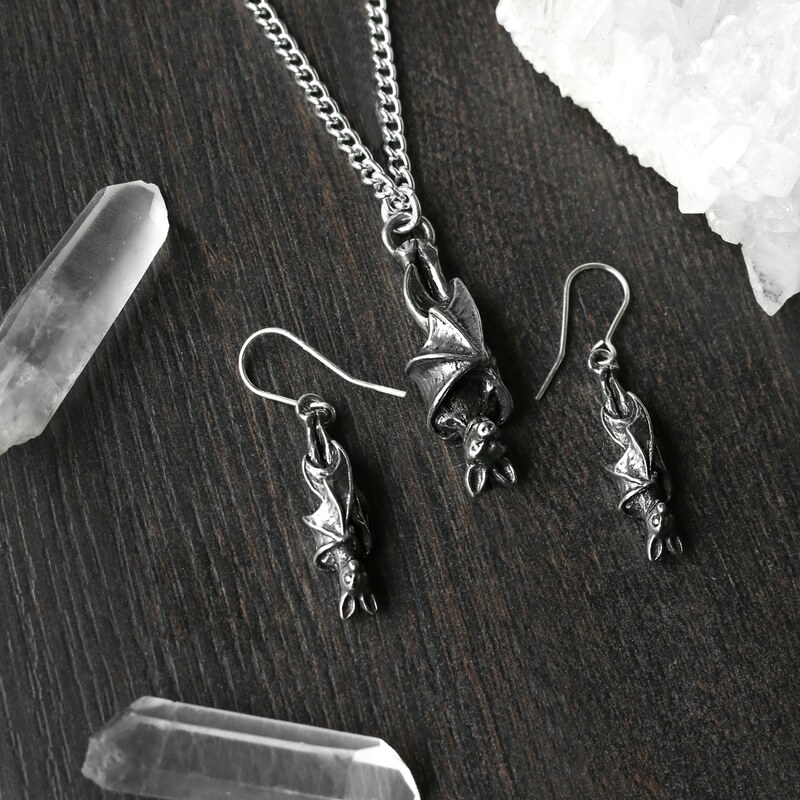 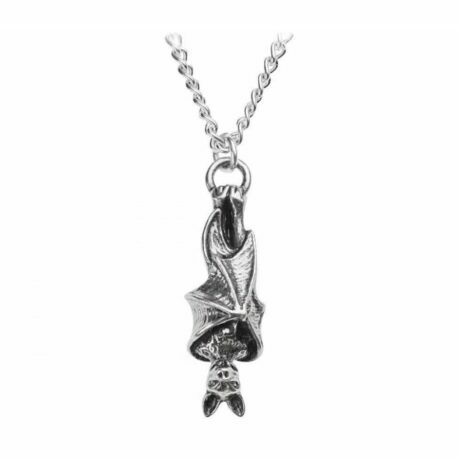 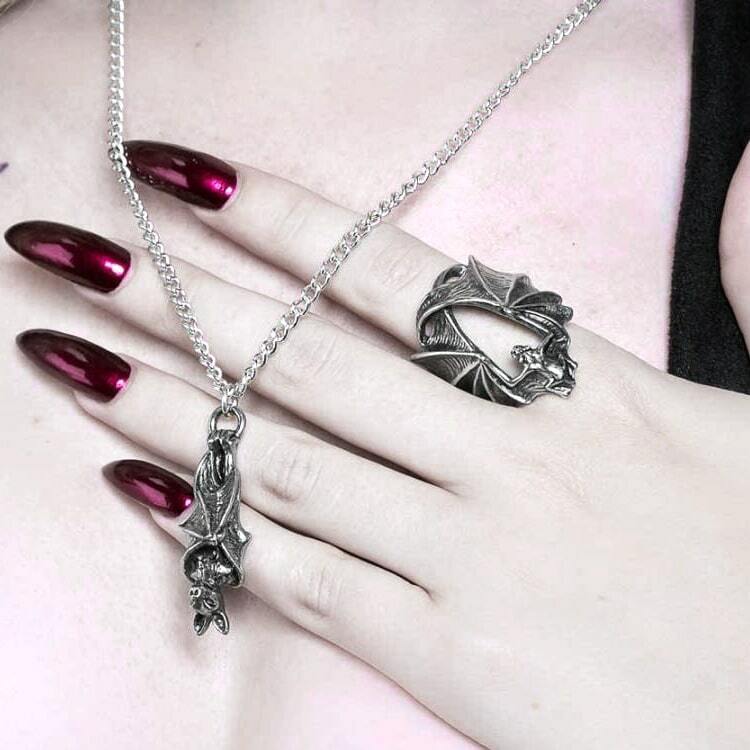 A roosting vamp, silent and motionless, anticipates the dusk and the final vestige of light to be extinguished by the sunset – so the raptor may play..
A gothic bat necklace in antiqued pewter. Listing is for the Awaiting The Eventide necklace only. 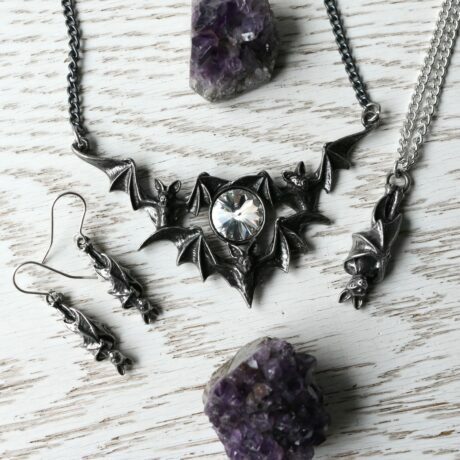 All other items shown are for stylistic purposes only.